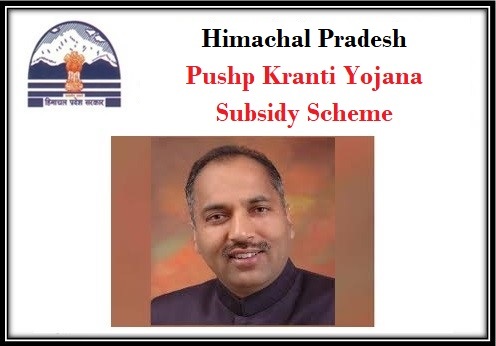 With the intention of providing employment opportunities to the youths of the state Himachal Pradesh, the state government has established a new welfare scheme named Pushp Kranti Yojana. The geographical setting and climatic condition in Himachal Pradesh is ideal for the cultivation of various kinds of flowers. The state government wants to offer encouragement to progressive agricultural labors so that they take up flower farming in the area. The Himachal Pradesh state chief minister Mr. Jai Ram Thakur firstly hinted the scheme, during the state budget submission few months ago. In order make those wordings of the state CM to exists; the state minister Mr. Mahendra Singh who cares the Irrigation and also the Public health & horticulture department has approached the central government few days ago to avail Rs. 150 crore financial aid for the successful launch of the HP Pushp Kranti Yojana. The main objective behind the establishment of this Kranti Yojana is to increase the production of the flowers among the state farmers by offering the various benefits. With this yojana, the farmers will provide with enough financial aid for protecting their corps and fruits. More importantly, the scheme has enhanced the opportunity for youths to become employed. This yojana surely helps farmers especially those who shows interest on cultivating flowers gets motivated and owing to that reason, the floral production in the state too gets improved. This yojana helps farmers to protect their crops or flowers from damages caused because of any natural calamities, and animal interference by allowing governments of India to provide sufficient funds to the respective farmers. Apart from that, farmers will get around 25% discounts while sending their cultivated flowers by though their state owned transportation service provider HRTC buses. Without much notification and attentions of the normal citizens, the Pushp Kranti yojana gradually drags the youths and younger generations into the cultivation process. Apart from boosting youths into the cultivation process, the scheme surely improves the horticulture development in the Himachal Pradesh state. And also farmers offered with enough subsidy for protecting their crops and flowers from damage. In order to protect the crops, fruits and other plants cultivated from the hailstorm, the government will provide around Rs. 23 Cr. And Rs. 120 Cr for fixing the damaged crops/plants. The initiatives also known as the Himachal Flower revolution scheme, is highly expected to offer wide range of employment opportunities for the current youths in the cultivation sector. Also eligible people can avail loans from this scheme by the government. Under this floricultural project, the state will offer financial assistance to such farmers who are interested to take part in floriculture. The state authority is willing to invest as much as 150 crore on this scheme. There is high demand for international flowers in the Indian market. Growing such flowers in the country will fetch more income for the cultivators.